But the CRB opted to keep rates the same for digital music stores late last week, so removing any need for Apple to make good its closure threat. The three-member CRB kept the royalty rate at 9.1 cents, and mandated a 24-cent rate for ringtones. The board has never before established mechanical rates for digital files. 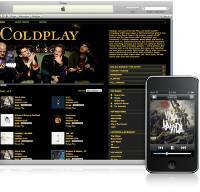 With that little problem behind them Apple can now focus on other threats to iTunes’ dominance of the music download scene – like the launch of Nokia’s Comes With Music program.